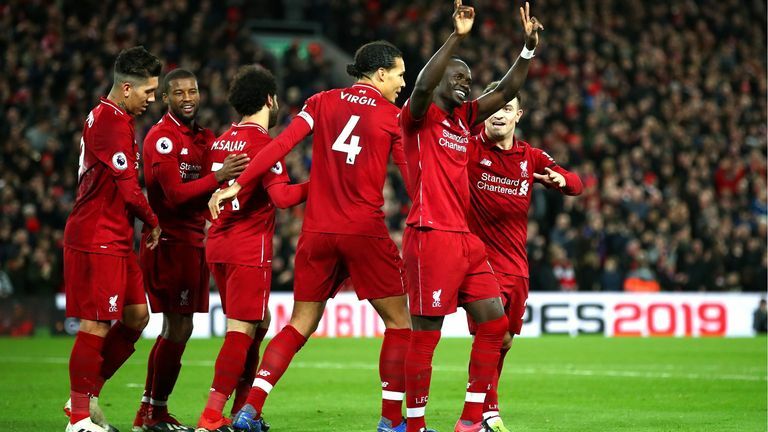 Roberto Firmino scored a hat-trick as Liverpool surged nine points clear at the top of the Premier League with a thumping 5-1 victory over Arsenal at Anfield. 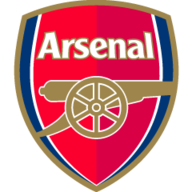 With Tottenham having lost to Wolves earlier in the day, it looked like Arsenal might do their north London rivals - and Manchester City - a favour when Ainsley Maitland-Niles put them ahead in the 11th minute. 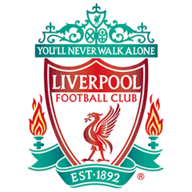 However, Liverpool responded in devastating fashion with two goals in 90 seconds from Firmino and then a third from Sadio Mane in the 32nd minute. Mohamed Salah made it 4-1 with a penalty late in the first half and Firmino completed his hat-trick with a 65th-minute spot-kick as Jurgen Klopp's side finished the year in style. Liverpool now turn their attentions to a showdown with title rivals Manchester City on Thursday, live on Sky Sports. Depending how City fare against Southampton on Sunday, Liverpool could end the week 13 points clear of the champions, or only four. Having seen Spurs slip up against Wolves, it looked as though Liverpool might be in for a tricky evening as Alex Iwobi crossed for Maitland-Niles to put Arsenal ahead in the 11th minute. But the lead didn't last long as Liverpool responded with two goals in 90 seconds from Firmino. The first was fortuitous as Arsenal tried to clear in their own box and the ball rebounded kindly for Firmino, who scored with a no-look finish into an empty net. Firmino then made it 2-1 in the 16th minute when he shimmied past two tackles and fired a shot into the bottom corner. Anfield was rocking and Liverpool extended their advantage in the 32nd minute. Arsenal cleared a corner to Andy Robertson on halfway and his long ball forward was passed across the box by Salah for Mane to finish. Salah made it 4-1 in first-half injury-time when he rifled a penalty past Bernd Leno after being clumsily fouled by Sokratis. Aaron Ramsey spurned a chance for Arsenal early in the second half when he was unable to finish in the box. However, Arsenal's defence continued to look creaky and they conceded a fifth when Sead Kolasinac was penalised for a push on Dejan Lovren and Firmino converted the penalty. Liverpool made one change from their win over Newcastle as Fabinho replaced Henderson. Mustafi returned in defence for Arsenal and Ramsey, Maitland-Niles and Iwobi also started. Ozil missed out with a knee injury. Liverpool eased up late in the game but went close to scoring again as Jordan Henderson shot narrowly wide and Leno saved a toe-poked shot from Salah. Arsenal versus Liverpool is now the highest scoring fixture in Premier League history (155 goals). Liverpool have accrued 54 points from their opening 20 Premier League games this season; when assuming three points for a win, only Chelsea (55 in 2005-06) and Manchester City (58 in 2017-18) have ever had more at this stage in English top-flight history. Arsenal conceded four goals in the first half of a Premier League game for the fourth time, with Liverpool responsible for two of those (Feb 2014 and today, as well as Man Utd in Feb 2001 and Chelsea in March 2014). Liverpool are now unbeaten in 31 Premier League games at Anfield (W22 D9), their joint-longest ever unbeaten home run in the competition, having also gone 31 without defeat between December 2007 and August 2009. Liverpool fell behind in a Premier League game at Anfield for the first time since 30th December 2017 against Leicester City, 364 days ago. Arsenal are now without a win in their last 20 away league games against fellow "big-six" opposition (D7 L13), losing 10 of their last 12 such matches (D2). Roberto Firmino has been directly involved in 11 goals in his eight Premier League games against Arsenal for Liverpool (8 goals, 3 assists), more than he has against any other opponent in the competition. Roberto Firmino's hat-trick is the sixth to have been scored in fixtures between Arsenal and Liverpool in the Premier League - the most hat-tricks in a single fixture in Premier League history. Liverpool's Roberto Firmino has become the third Brazilian player to score a Premier League hat-trick, after Robinho (for Man City v Stoke in Oct 2008) and Afonso Alves (for Middlesbrough v Man City in May 2008). The striker scored his first Liverpool hat-trick to put Arsenal to the sword. While there was plenty of fortune in the first goal, Firmino showed excellent skill and control to create the second and then finish past Leno. He then added a third from the penalty spot to complete the rout. Liverpool can strengthen their title chances when they travel to Manchester City on Thursday, live on Sky Sports. Arsenal host Fulham on New Year's Day.